Home / ART! / Buff Dino! Such Powerful Dinosaur Biceps! Here’s a T-rex with big arms someone asked me to draw. Thank you to whoever did. Specifically, it’s a T-Rex. Fun fact, T-Rex arms are nowhere near this buff and meat packed. Their biceps? Heh. Practically non existent. Triceps? Forget it. But this boy caught the meteor that was about to wipe out the dinos and mixed it with some sweet Creatine to give him that swole look we all desire. He’s not quite as vascular as he wants to be, but it really is a slow and steady process. Consider this his bulk stage. In his training, this buff dino also somehow developed extra fingers. His hands are very human like in fact. Such an impressive change of events. Thanks for all your votes. Sorry it took me so long to get this done. 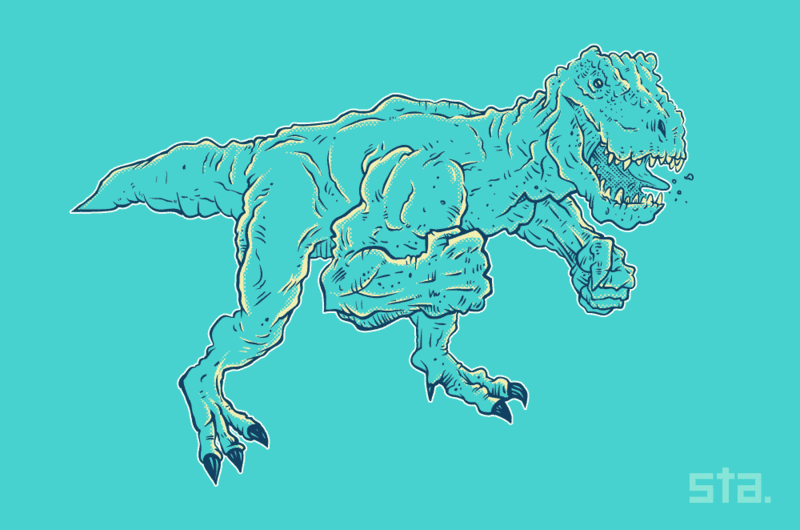 Buff Dino is available at Redbubble. Hey, have a great Thanksgiving day, okay? Ok, I love you. Bye.